Let our professional team provide immaculate tile installation swiftly. We are experts in this field with many years of experience behind our back. We achieve top results which meet the requirements of clients fully and exceed their expectations. The quality of our work is reflected in the strong, fine-looking and functional wall finishes and flooring we create. We will give you the perfection which you are looking for. We are dedicated to our work and strive to provide service to each and every client in the fastest possible manner. We have developed excellent organization which allows our team to complete even the largest residential tile project in a short period of time. We begin with discussing your ideas and requirements. We create a foolproof plan afterwards and complete the work with utmost precision. Our technicians are highly skilled and knowledgeable. All of our crews are equipped with the most advanced and dependable equipment. 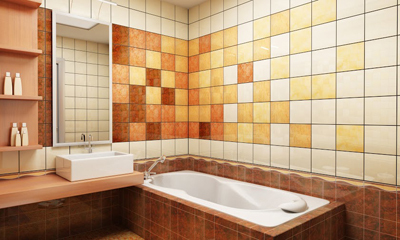 We use materials of top quality such as strong and durable epoxy grout which retains its natural color for a long time. All of these factors enable us, at "Drywall Repair in Northridge", to deliver superior service. Once we are done, you will have gorgeous finish that will remain in excellent condition for long time to come. There are virtually no limits to the expertise of our technicians. We can install even the most specific mosaic glass tiles for you. We work with absolutely all types of materials from ceramics to vinyl and cork, from porcelain to natural stone and marble. Our specialists are well familiar with the properties and specific installation requirements of the products from different brands. In addition to using our experience, we keep up with the latest trends and innovations to achieve perfection every time. Whether you require unique Emser tile installation or you want a beautiful finish with ceramic tiles from Marazzi, we will produce the ideal result. If you already have finish of this type and it has got damaged, we will come and fix it swiftly and effectively. 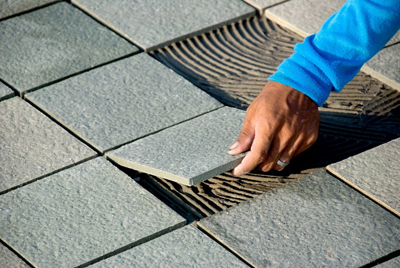 Our tile repair service is reliable and all-encompassing. We make finishes as good as new in no time. We will give you the coziness, comfort and safety you require. We can resolve any issue with the most commonly found finish as well. We are specialists in drywall repair. Send us an email to share your ideas and requirements and we will provide a detailed estimate quickly.